The Loire Valley is a place that depicts a glorious past, with the grandeur for all to see. You are bound to enjoy the trip – magnificent chateaux, picturesque towns and villages, parks and gardens, just to cite a few. 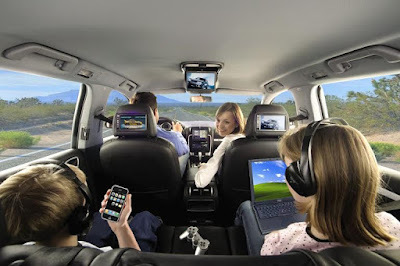 To discover the Loire Valley with your children in the most comfortable way, it is recommended to rent a luxury SUV car in France through companies like this one, in order to have the best combination of high performance and space for the family. You will simply be amazed as you drive from one elegant destination to the next. 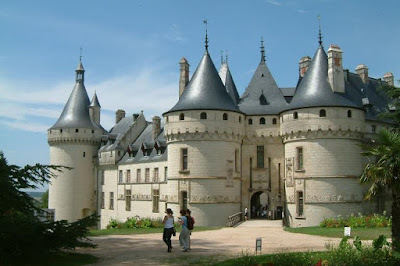 Here is a list of some of the favorite castles to see in the Loire Valley to keep you and your children engrossed. 1: Chenonceau – This is one of those kinds of buildings why people love France. It encompasses elegance, sophistication, splendor, extravagance and grandeur. It arches over the River Cher. Henri II bought it for his mistress, Diane­de­Poitiers who created gardens and placed the bridge across the river to allow her to hunt on the other side. When he died, his widow, Catherine­de-Médicis evicted Diane and added the gallery to the bridge. It is now one optimum spot for making romantic photos. The furnishings are luxurious, there is beautiful art, and the formal gardens are still stunning. 2: Chambord – This is the most magnificent of all the chateaux in the Loire. It was conceived by the 25­ year ­old Francois I. It is monumental in size with strength of 156 meter façade with towers scraping the skyline. It depicts finery and elegance – with 282 chimneys! To sum it all up, this is one of the finest examples of the splendor and the extravagance of the lives of the royalties then. The place is full of backstairs and hidden passages. 3: Blois – The Royal Chateau de Blois used to be the residence of several French kings. It was also here in 1429 where Joan of Arc was blessed by the Archbishop of Reims before departing with her army to drive the English from Orléans. It is located in the middle of the town and comprises of several buildings built around the main courtyard. There are 564 rooms of which 100 are bedrooms. A fireplace is built in each room. There are 75 staircases of which only 23 were often used. France is one of the places I'd love to visit, but I think I'll struggle to get Gareth around to the idea, you can check out his post on the three places he'd like to visit by visiting his blog here.